The beauty of the Star Wars universe is how timeless the story is. With storylines that span decades and fans across all ages, the movies clearly have important stars. No, not Carrie Fisher. Not Harrison Ford either. We’re talking about the creatures! The furry ones, the big ones, the scary ones, and most importantly, the adorable ones. Since day one, each movie has had a wide range of fictional creatures populating each planet, each based on real animals from our planet. This crazy combination of animals resulted in the majestic Fathiers. 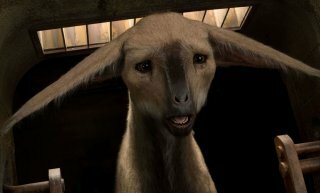 These creatures, who were destined to live their lives under the oppressive race-track culture on Canto Bight, break free after saving Finn and Rose from getting caught by The First Order. The Fathiers were created entirely by the digital effects team. They are enormous creatures and physically superior, such as the horse and lion, with faces similar to a dog or cat. These gentle giants have personality traits that are similar to those animals that we have here on our Earth. They certainly captured our hearts from the moment they appeared on the big screen. Towards the end of The Last Jedi, the audience got a glimpse of the crystal-covered Vulptex creatures on the planet Crait. These sparkly creatures are based on the Arctic Fox, the fluffy animals of the Arctic Tundra. The Arctic Fox can be found anywhere from Alaska to Iceland, and weighs between 6.5 to 17 pounds. For the film, the creative director thought it would be interesting to see what these creatures would look like if they had crystals, instead of fur. The Vulptex ended up have coats that refracted light, and gave off shimmering rainbows of color. In The Empire Strikes Back, Luke Skywalker, Leia Organa, and Han Solo were great and all. But the real stars of the show were the Ewoks. These 3-foot tall creatures were helpful in defeating the Galactic Empire in the second installation of the original Star Wars trilogy. Our first guess was that the Ewoks were based on some kind of bear, since they look a lot like teddy bears (but fight like angry monkeys). Supposedly, the Ewoks were based on a dog breed called Griffon Bruxellois. The visual effects director and make-up artist for the movie looked at photos of these dogs for inspiration when creating the Ewok. You can see it… right? By far the cutest of all of the Star Wars creatures, the Porgs, were the true stars of the show in The Last Jedi. In this movie, Rey tracks down Luke Skywalker to his hideout on Ahch-To and it is filled with these curious, feathered cuties. The Porgs are based on the Atlantic Puffin, which were all over the island that the Star Wars crew filmed these scenes on. In real life, the Atlantic Puffin can be found mostly in the sea, diving up to 200 feet into the water to catch fish. Porgs, on the other hand, can be found goofing around on Ahch-To. Who knew too much cuteness was a crime? Unfortunately, having over a certain number of cuddly companions can actually result in serious repercussions. In Orange County, each city has its own rules limiting the number of pets every household can have. So for the self-proclaimed cat ladies or dog whisperers, it may be a good idea to check your city’s ordinances about pets to avoid getting into trouble. There are tons of rules for both domestic and exotic animals that range from pet restrictions on dogs to walking catfish. Below, we’ve compiled a list of pet restrictions in popular cities around Orange County and how you can work with them if you just can’t seem to part with all your precious pets. If you have more than 3 adult dogs or cats, don’t panic. It’s still possible to keep them all by applying for a special permit from the city. As for other exotic pets like reptiles, amphibians, and small mammals, owners are required to get their animals licensed. The city of Fullerton has an extensive set of rules for its residents. We’ve summarized the most basic parts below, but you can check out the full list here. If you want to adopt a few more pets, you might be able to with enough extra land. Some animals need more space to comfortably exercise and it’s courteous to neighbors who may not want to hear or smell your pets. One requirement for all these cities in Orange County have is to maintain proper care of your pets. Regardless of how many you own, the most important aspect of owning pets is keeping them healthy and happy. This includes proper food, exercise, equipment, and wellness exams. 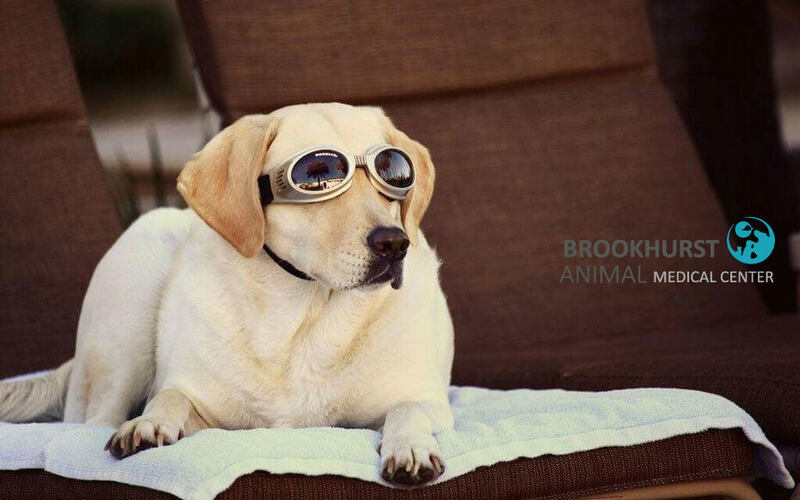 If you’re looking for an experienced clinic, our vet in Anaheim at Brookhurst Animal Medical Center is available to help you and your pets. Although these rules may seem inconvenient to pet owners in Orange County, they are in place for good reason! Having certain exotic pets can be a huge threat to the native species and they can seriously damage natural ecosystems. While some adjust well to domestic living like guinea pigs and a few reptiles, others may have natural behaviors that can be difficult to handle and even dangerous for their owners. Limiting the number of pets per household also helps control pet waste and noise in the city. Though it’s difficult to resist the temptation of rescuing the neighborhood stray, it may not always be in your best interest to adopt another dog or cat if you don’t have the resources to care for it. Lastly, it’s always a good idea to check with your local government officials and vet for advice. When you’re having a stressful day at work, nothing can turn that frown upside down like pulling up Instagram and finding funny dog videos all over your newsfeed. It’s much healthier than stress-eating and way cheaper than therapy. We’re compiling all of the local canine-celebrities that we think you should follow on Instagram. These mischievous munchkins are always up to no good, and we love it. What’s even better is that they post about some of the hottest spots in Orange County to take your dog to! This dream team consists of two corgis, Vala and Archi, and their human sister. Like all siblings, Vala and Archi like to pretend that they don’t love each other – but we can see right through it! The trio can be found snuggling, sharing food, and driving their dog mom insane. The stars of this page are golden-retriever brothers, Sir Alex and Gunnar. These guys enjoy chewing on each others’ tails, serving their neighborhood watch group, and napping. Most importantly, they spend their time soaking up the Orange County sun! Commitment, enthusiasm, and perseverance. When it comes to protecting his toys, this little nugget is serious. Kodie the Yorkie can be found exploring Orange County’s dog-friendly beaches, playing dress up, and most importantly, hoarding his toys. 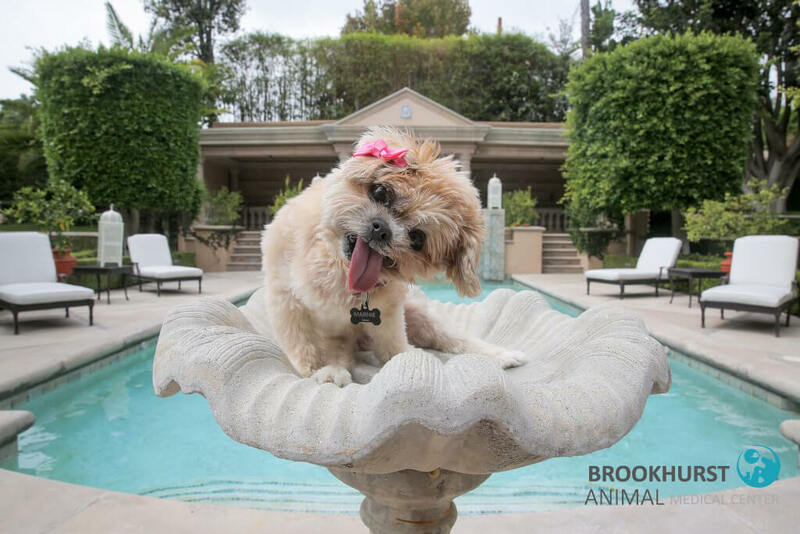 We’re really excited to see what this adorable doggy is getting up to next. There’s no shortage of Star Wars jokes on this page. Jedi the Miniature Schnauzer is a huge fan. And he is excellent at playing dress up! Some of his favorite characters are Yoda (of course) and Harry Potter. When he’s not looking for new toys, you can find Jedi and his friends scoping out aisle 3 at Target. Why is Yoda such a good gardener? ?? . . . Because he has a green thumb!?? This glorious golden retriever is fondly known as a local drama king, tennis ball collector, and cuddle connoisseur. Even though he is not from the OC, we think this beautiful canine deserves a little recognition for everything he does to bring joy to the Instagram community! OK – he’s not from Orange County either. But LOOK AT THOSE EARS. Having a night out on the town? Celebrating a new raise? Toasting to the new year? Whatever your reason is for heading out this weekend, you don’t need to leave your furry companion lonely at home anymore – there are tons of dog friendly bars, breweries, and beer gardens right here in Orange County that you can go to. Not only that, they have delicious, ice cold beers that are sure to quench your craving. Here are our top picks for locations that welcome humans and dogs alike. Many of these local favorites not only serve refreshing beverages, but snacks to munch on as well. Remember to drink responsibly and be courteous to other customers by keeping an eye on your dog. 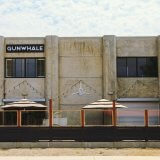 Inspired by the Old West, Gunwhale Ales aspires to preserve the art of European farmhouse brewing. They serve signature “coastal ales” that reflect the wilderness of early California. Bring your drinks to the outside patio, so you both you and your dog can appreciate the fresh air. There is beauty in the simplicity of Bootlegger’s Brewery. 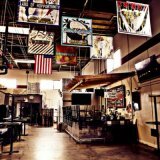 Located in Downtown Fullerton, there are tons of options for food and entertainment surrounding Bootlegger’s Brewery if you want to explore. 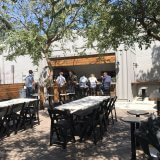 You can situate yourself on one of the many picnic tables in the large outdoor area for you to chill with your dog after you grab your drink at the garage-style beer bar. Tucked away in a suburban business complex, All-American Aleworks has the perfect solution to a long day at the office. 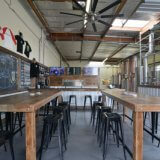 The brewery prides itself on serving classic American-style ales and lagers to Orange County locals. Big plus: veterans receive discounts at this patriotic brewing experience and dogs are more than welcome. This family owned brewery is exactly what it sounds like – a family owned brewery with four sons. Stop by for an all-natural beer in their taproom or try some of the culinary creations offered from the food trucks right outside. The location itself is spacious and open, perfect for friends, family, and most importantly, dogs. 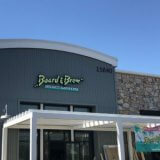 Board & Brew in Tustin, CA has yummy sandwiches and crisp beers… what more could you ask for? Make sure you feed your dog before you head out or bring some extra treats since the both of you will be drooling over the amazing food. For tips on dining with your dog, you can check out this article from Trips with Pets. It gives great insight on what to bring and how to feed your pet in public. 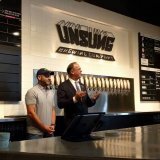 Embrace your inner child at Unsung Brewing Company. The brewery owners were hugely influenced by superheroes like Batman and the Hulk, hence the giant comic book posters on the walls. Even their wide selection of beers, ranging from IPAs, stouts, reds, etc, are named after animated characters.The decor takes a minimalist approach, so no need to worry about your pup trampling over anything. Outside, there also a few tables and benches for the two of you to lounge about or you can head over to the Anaheim Packing District, which is only a block away. 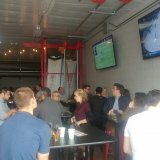 If you’re looking to stay a little later and have a lot of fun, Chapman Crafted Beer is an excellent brewery for choice. You and your four-legged best friend can enjoy games like corn hole or ping pong. They also have Taco Tuesday Trivia Nights if you have a knack for remembering random facts. As for their beers, there is a selection of 8 or 9 beers every night and you can even order an entire (aptly named) 64 oz growler. 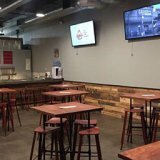 Stop by Legends Craft Brewery with your dog the next time you’re in Anaheim. They serve many fruity beers like their Heavenly Melons Belgian Wit and Strawberry IPA. If you’re taking your pup out on the weekends, it can become quite busy, so make sure he or she reacts well to crowded environments. Here’s a quick guide to grooming your dog’s bar patio etiquette from Andrew Warner if you’re concerned. Downtown Santa Ana has definitely been become a hot spot in Orange County with all the new trendy bars and restaurants popping up on First and Fourth Street. Equipped with a full menu, furnished outdoor garden, and tons of beer and wine options, Dear Lacy fits right into the hip new vibe. There are also plenty of other restaurants and activities to check out in the area after you have your fill, so you can take your dog for a nice stroll, too! 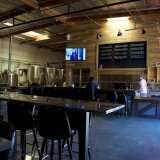 Drop by one of Backstreet Brewery’s 3 locations in Irvine, Vista, and Anaheim, for a crisp beer after a long walk with your dog! 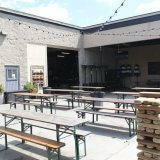 Established in 1998, this brewery offers an assortment of beers, food trucks outside, and fun games for everyone. There’s plenty of seating inside and out – just attach your pet’s leash to a sturdy object to ensure nobody gets lost. Spending time with your pet and going out for a drink with friends shouldn’t be mutually exclusive. We can’t stress enough, however, how important it is to be extra responsible with your alcohol when you have your dog with you. Now that you’re barking up all the right breweries, you’ll want to maximize your fun and safety. For you and your pup to stay on your best behavior, check out this guide from Bier Kast. You can read what to expect at the breweries and how to prepare for them. If you’re looking for more dog friendly activities in Orange County before you go bar hopping, here are just a few fun things you can do. 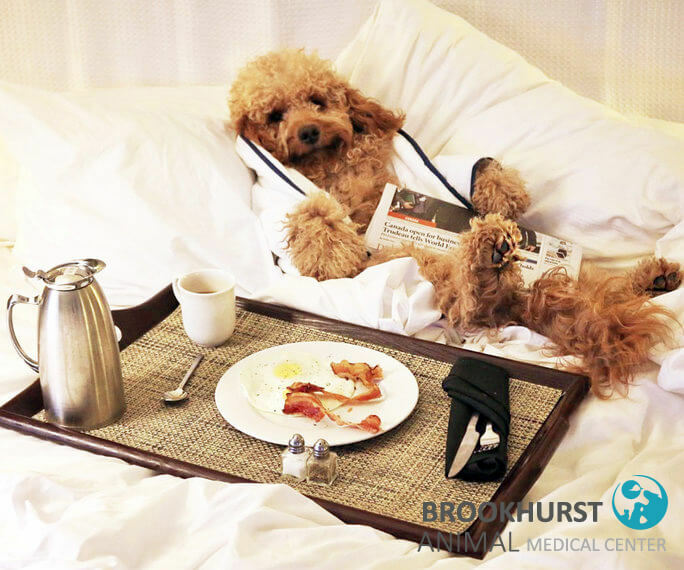 In the event that something doesn’t go quite according to plan and your dog needs medical attention, Brookhurst Animal Medical Center is a local veterinary practice dedicated to treating your pet. 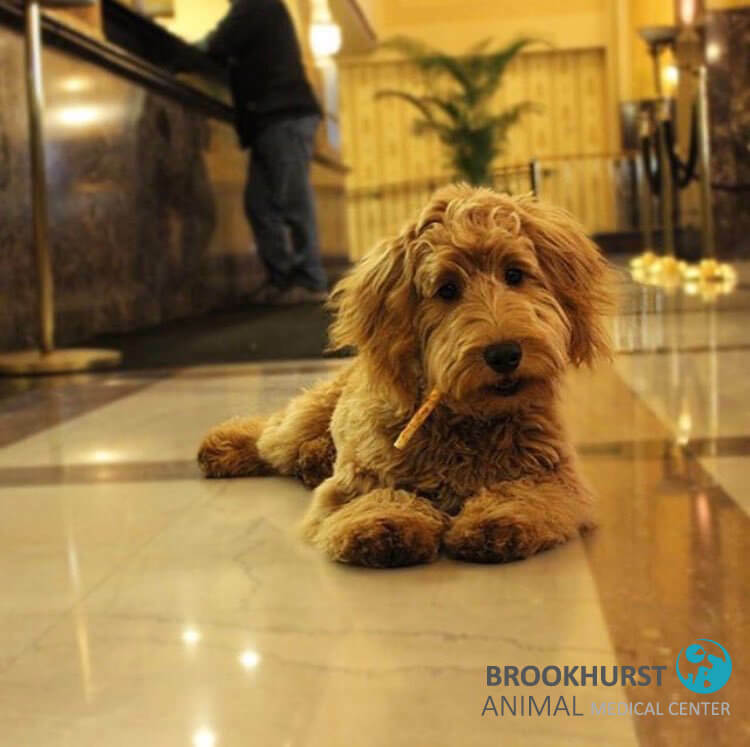 We’re here for pet emergencies, regular checkups, or if you just want to stop by and say hi! Between hanging up decorations in your home and preparing to see your relatives, the holiday season can get incredibly hectic. If you haven’t had the chance to get the perfect gift for everyone yet, don’t worry! We have the ultimate holiday gift guide for your dog-loving friends and family. We all love our pets, but sometimes, we don’t always love how they smell… Rescued Wine offers soy based candles in different wine-themed scents such as Palm Sangria, Cabernet, and Merlot. The best part? Their candles are made of recycled wine bottles and a portion of each candle’s sale goes to animal rescue groups! Your loved ones will definitely appreciate this gift! Mutt Mitts make cleaning after dogs a breeze and they’re completely biodegradable. Help your friends get a head start on 2018 with this corgi-themed agenda. The charming planner comes in multiple layouts (daily, weekly, monthly spreads) to help keep track of tasks like work, birthdays, and most importantly, dog walks. Keep frostbite at bay with these French Bulldog socks. They’re a great stocking stuffer for anyone who likes these puppies (and who doesn’t?). Dog Milk is always keeping up with the latest treats for dogs and humans alike and we absolutely agree with their review of these precious dog-themed earrings, pins, and necklaces. If you’re still searching for a gift, this is a definitely a great choice. You can’t go wrong with jewelry and you definitely can’t go wrong with puppies. Forget ugly Christmas sweaters, get your friend a hoodie with a dog pouch! This way, they can bring their furry companion to enjoy all the fun holiday festivities together. Just a warning, these sweaters only support up to 10 pounds. These festive ornaments make great decorations for any tree. They’re an affordable stocking stuffer for any puppy or cat lover! This desk calendar is a definite weiner (winner) in our book. Pet Life Today recommends this Dog Shaming 2018 Day-to-Day Calendar and we agree! The New York Times bestseller features hilarious photos of troublemaking dogs, caught in the act. A picture is worth a thousand words and a picture with a pooch is probably worth a million. With this dog selfie helper, your friends can finally get cute pictures with their pet for those holiday greeting cards. Taking a tip from Fidose of Reality, we went on the hunt for the perfect personalized and affordable gift for every pet parent. Make the holidays extra special with these personalized dog pillows! The pillow includes a customized monogram of any name and include options including french bulldogs, poodles, labradors, dachshunds, english bulldogs, golden retrievers, pugs, malteses, rottweilers, and yorkies. Hopefully, this gift guide helps you find the right item while staying under budget. After all, it’s the time to enjoy family, friends, and furry companions, not stress out over buying presents! Don’t forget that the best gift of all for both your friends and their pets is simply being together and making memories for years to come. 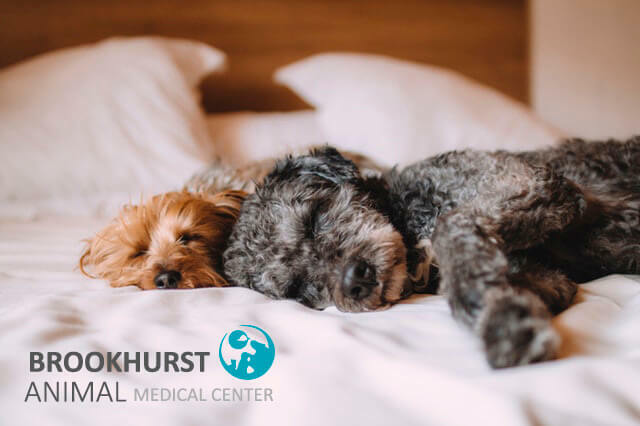 If you or your close ones need to take your pets to the vet over the holidays, Dr. Lopez at Brookhurst Animal Medical Center is available to help. Please call ahead for emergencies and we can provide you with the veterinary care you need.